A memorial for a Muslim teen murdered near a Virginia mosque was reportedly lit on fire and burned in Washington D.C.'s Dupont Circle on Wednesday. 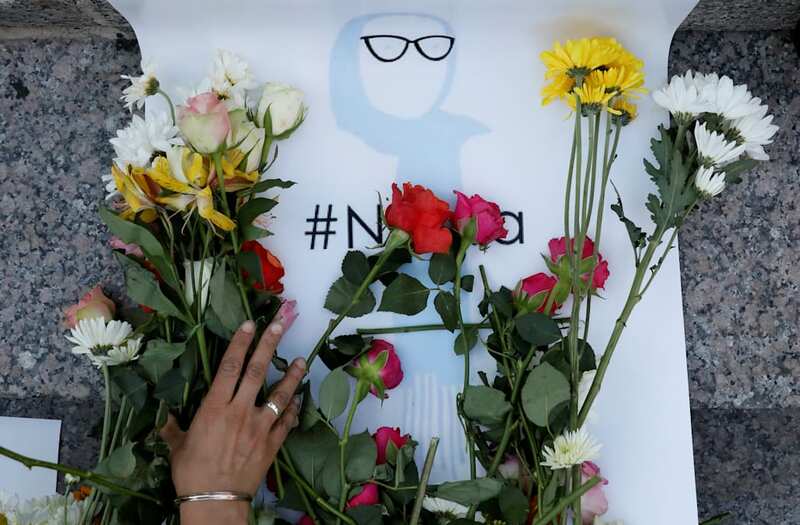 According to a local FOX affiliate in Washington D.C., DC Fire responded to the scene at 8:30 a.m. on Wednesday morning, where the burnt leftovers remained from the tribute to slain 17-year-old Nabra Hassanen. Firefighters were reportedly able to extinguish the flames, and DC Police said 24-year-old Jonathan Soloman of South Carolina was arrested in connection with the occurrence. Hassanen's body was found dumped in a pond on Sunday after she was beaten with a bat, abducted and eventually murdered after leaving a mosque. Darwin Martinez Torres, 22, was in his car when he got into a dispute with the 17-year-old girl and a group of her friends before dawn on Sunday in Sterling in Northern Virginia, according to the Fairfax County Police Department. Torres is accused of killing the young Muslim girl, but police are not investigating the murder as a hate crime. Vigils in the wake of Hassanen's murder have broken out across the nation, notably in Washington and New York City. "New York City demands #Justice4Nabra#solidarity#unity," civil rights activist Linda Sarsour stated via Twitter on Tuesday, posting images from a Union Square vigil for Hassanen.